A wartime comedy featuring the misadventures of a stricken submarine and her crew, Operation Petticoat offers some mild laughs but quickly becomes an exercise in routine waters. It's December 1941, the US has just entered the war and somewhere in the South Pacific, the USS Sea Tiger is sunk in a Japanese air raid while still tied to the dock, having never experienced any action. 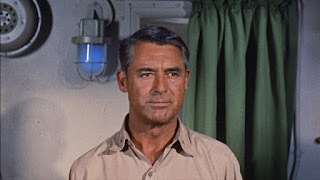 Captain Matt Sherman (Cary Grant) is eager to get his submarine back to the surface, patched up and into the war. But the US military is still in a state of disarray and unable to fulfill Sherman's requisitions for essential replacement parts and supplies. Lieutenant Nick Holden (Tony Curtis), a suave fixer and ladies' man, arrives as a replacement officer with no real interest in the war but plenty of ideas on how to get things done. Sherman appoints Holden as the new supplies officer, and soon Holden is efficiently securing all that the submarine needs through ingenious scavenging adventures. Somewhat repaired but still with plenty of mechanical and operational problems, the Sea Tiger sets sail, and at a port of call Holden finds five stranded US military nurses and brings them on-board, ostensibly as a rescue mission and to transport them to a safer harbour. With five beautiful single women now living within the sub's tight confines, the crew members are understandably sent into a tizzy. A succession of mishaps is now accompanied by unlikely romances as Sherman evades Japanese raids, tries to keep his sub in a semi-functional state, and deals with accident-prone women and Holden's neverending scheming. 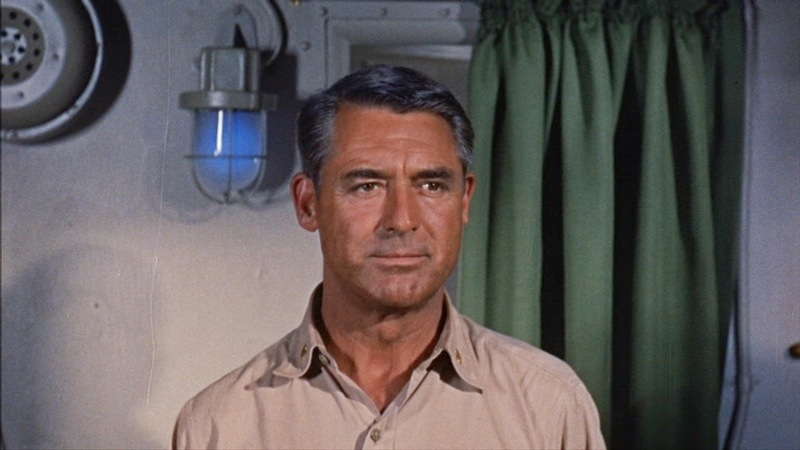 Directed by Blake Edwards and later adapted into a television show, Operation Petticoat is a lighthearted look at the frolicking that takes place within the less than perfect margins of war. This is a colourful, sun-drenched corner of a global conflict where a ton of effort is applied for not very much gain. Men improvise just to create a semblance of a mission, nothing works as it should and anything that does work is stolen, modified and pressed into action. 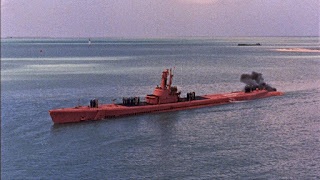 Edwards finds plenty of opportunities to have fun in the war's backwaters, up to and including painting the submarine a bright pink and contriving to stage a climax where the American Navy unwittingly engages in battle against itself. And somewhere within the mayhem is the subplot of a large abducted pig, that starts out funny but is stretched to tedium once the wronged farmer invades the submarine seeking compensation. But the film essentially starts and ends with two flimsy premises: the contrast between the rather stodgy Sherman and the freewheeling Holden; and the theoretically hilarious conflict created by women on a submarine. While there is enough substance to make the friendly stand-off between the two men worth exploring, the final third of the film deteriorates quickly as all but one of the women are treated with disdain, with a focus on their breasts getting in the way of everything, their inability to operate a shower, and their propensity for touching every dial at the worst possible time. Rather overlong at more than two hours, ultimately the film fades due to a lack of significant investment in most of the major characters. While a little bit of Holden's background is brought to the fore, all the other men and women are left to flounder in the sea of stereotypical characters, devoid of any humanizing context, motivation or ambition. Cary Grant and Tony Curtis supply adequate star power. They occasionally bounce well off each other, but mostly stay within themselves. 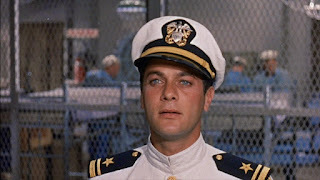 Grant goes through the movie with a mostly bamboozled expression, as Sherman is befuddled first by the Japanese raids, then by the incompetence of the supply chain, then by Holden's audacity, and finally by the buxom nurses invading his submarine. Curtis is a bit more engaging as he expresses stony faced determination with a twinkle in the eye, as Holden works hard to stay as far away as possible from anything resembling a war while maximizing his pleasure and fun quotient. The rest of the rather thin cast includes Joan O'Brien, Dina Merrill, and Gavin MacLeod. 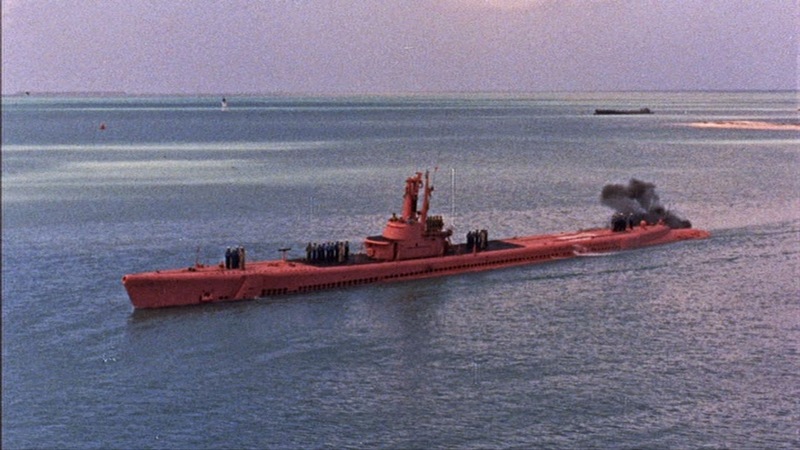 Operation Petticoat is amusing and offers bright moments; it's also as obvious as a bright pink submarine on a bright sunny day, sailing on the surface and belching black smoke.